Etihad Airways, the national airline of the United Arab Emirates, has in just ten years established itself as the world’s leading airline. “Etihad” is the Arabic word for “union”. Set up by Royal (Amiri) Decree in July 2003, Etihad commenced commercial operations in November, 2003, and has gone on to become the fastest growing airline in the history of commercial aviation. 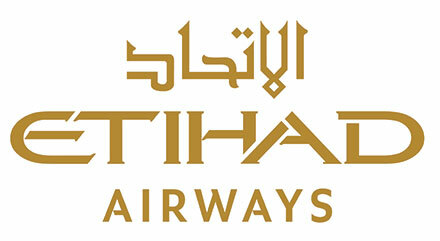 Based in Abu Dhabi, the capital of the United Arab Emirates, Etihad Airways serves an international network of 109 existing or announced passenger and cargo destinations in the Middle East, Africa, Europe, Asia, Australia and North America. It has a modern fleet of 102 aircraft, and more than 210 aircraft on firm order, including 71 Boeing 787s, 25 Boeing 777-X, 62 Airbus A350s and 10 Airbus A380s. Rewards may not be available until 120 days after the completion of travel. Rewards may only be paid on the net flight ticket purchase value excluding GST and all other taxes, levies and surcharges. 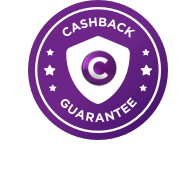 Your travel has been completed and the retailer has confirmed your cashback. Your rewards are now available for payment.